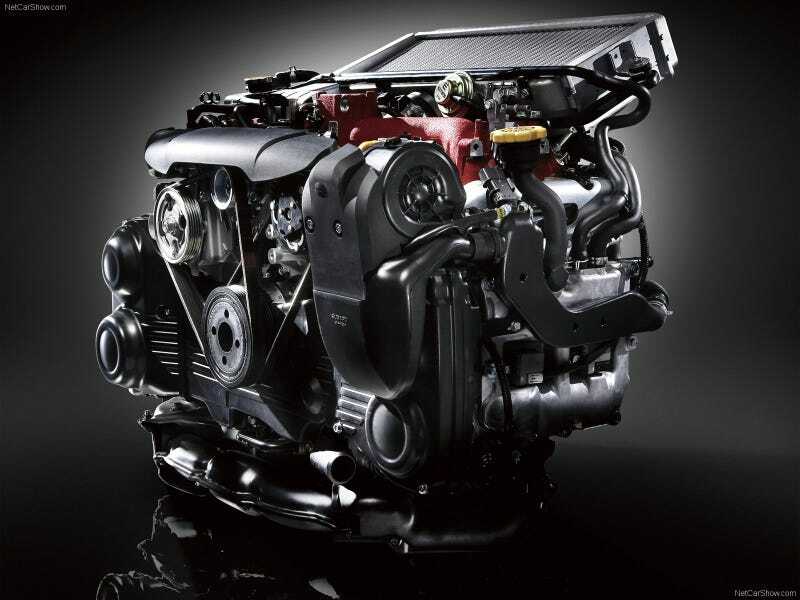 What is your MPG vs. Engine Size? The EJ is a dinosaur but that’s part of its appeal. At around 18 MPG average it’s barely more efficient than the 4200 LB, 4.1 liter V8 powered car I used to drive. The interesting piece is that both motors make 265 horsepower, but in different ways. The 900 LB difference and the engine design are the variables. Gearing too. If the STI didn’t exist the WRX would surely have a 6th gear, but since it doesn’t you’re doing 3k RPM on the highway, bare minimum. What would that 7.2 mean though? I guess you could conceptualize it as the amount in MPG each liter of your engine is contributing to your overall MPG rating. For example, a new GTI gets 30 combined, so each liter of its 2.0 turbo motor is contributing 15 MPG to the overall rating. Conversely, If you’re getting 7 MPG from a 7 liter big block, that’s a 1. So it looks like the range of numbers would be from 5 - 20ish.